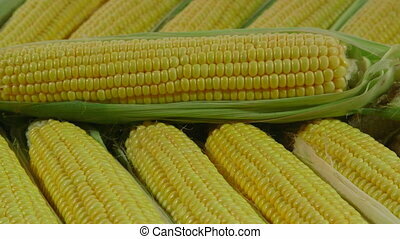 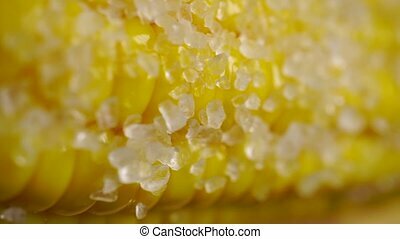 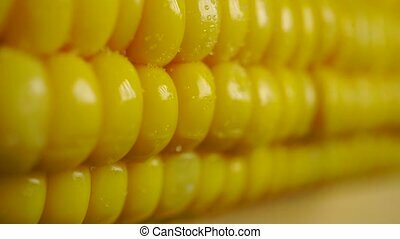 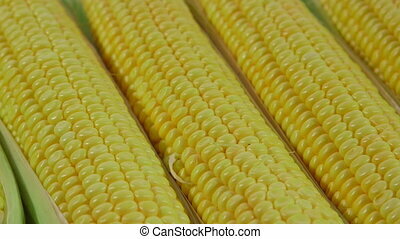 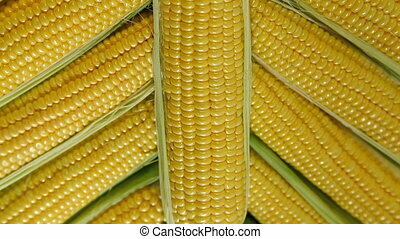 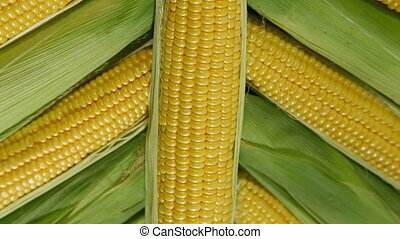 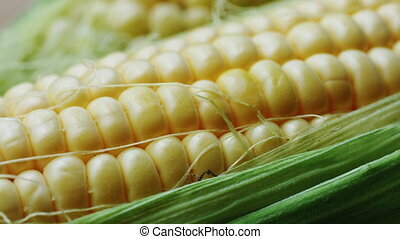 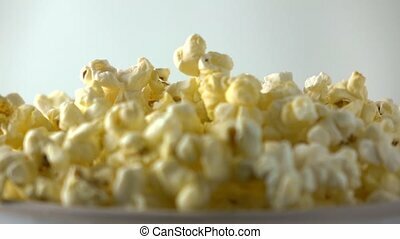 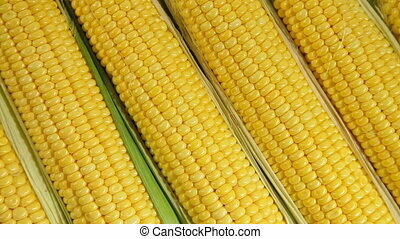 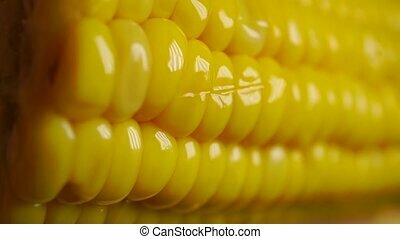 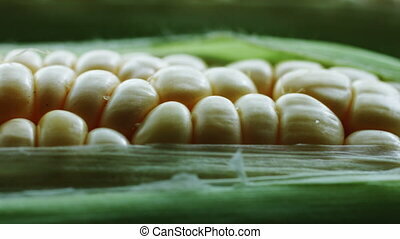 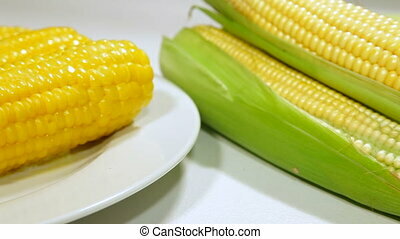 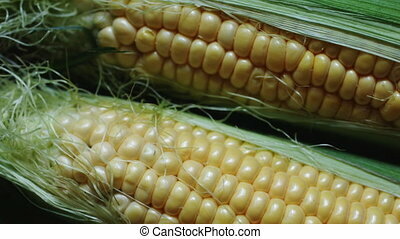 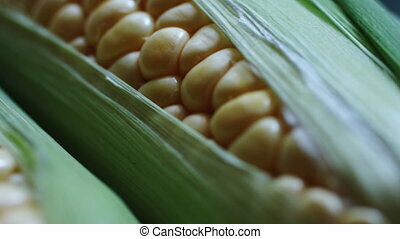 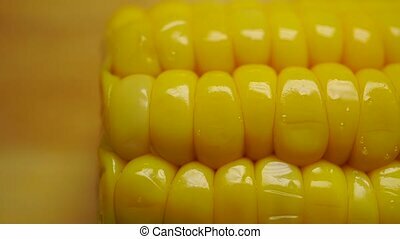 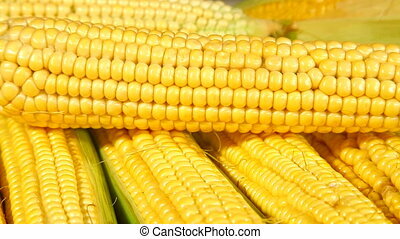 Dolly: fresh corn. 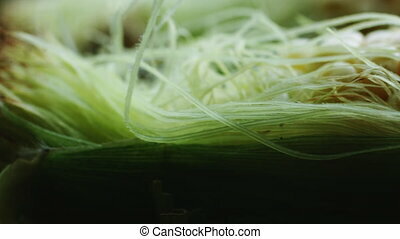 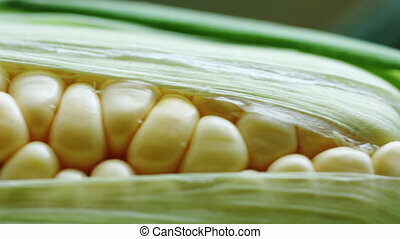 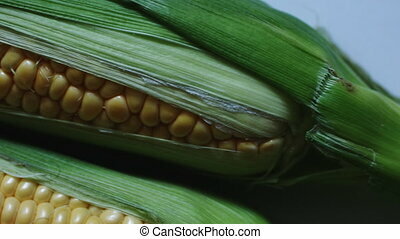 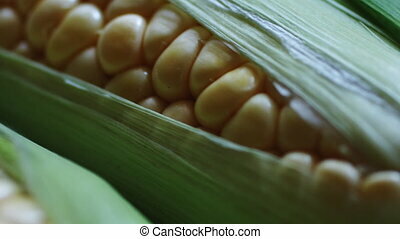 Ear of fresh corn with irregular rows of seeds, dolly shot. 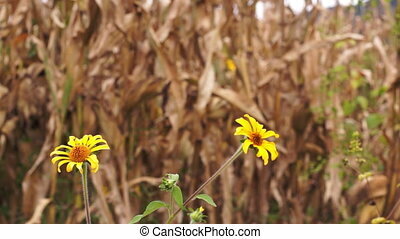 Dolly shot of yellow flowers contrasting against dry stalks of corn still in the field waiting to be harvested. 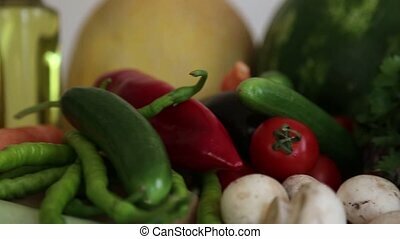 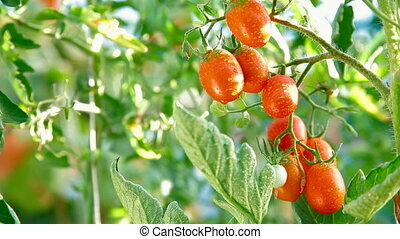 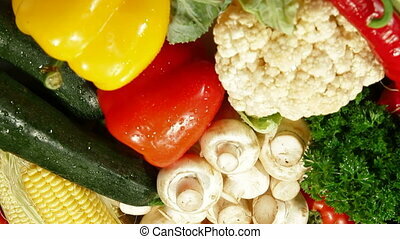 Fresh vegetables; cabbage, carrot, corn, cucumber, garlic, onion, pepper, potatoes, salad, tomato, mushrooms. 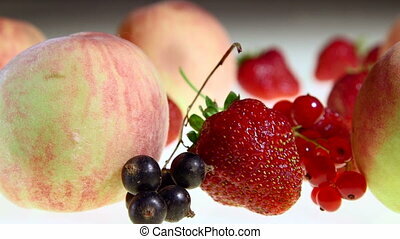 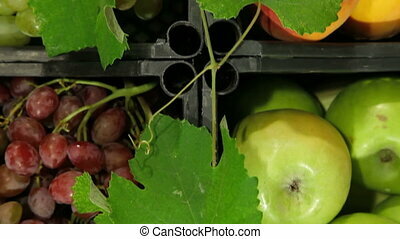 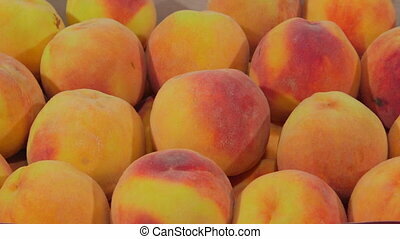 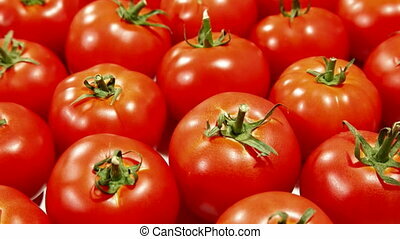 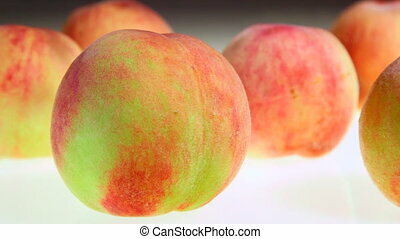 Fresh fruits and vegetables in boxes ready for sale, dolly shot. 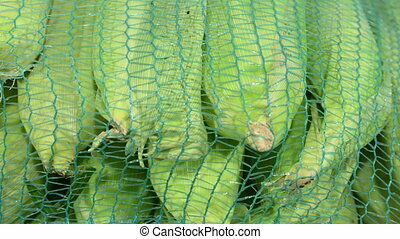 Bag with corn for sale at farmers market, close-up, dolly shot.